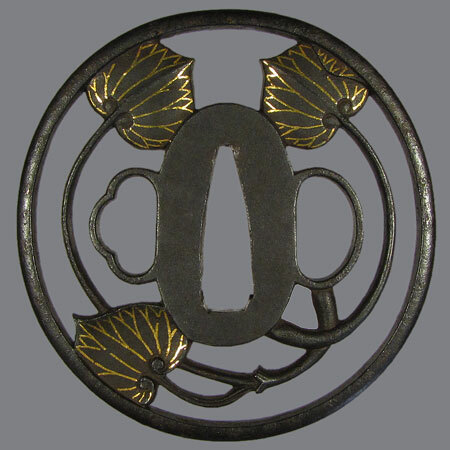 Tsuba with three leaves of futaba aoi - a common decor that often used on family crests. For example, Honda and Tokugawa clans used the mon with three leaves of aoi. This tsuba is made by one of the latest masters of Yoshihiza household which belonged to Myochin school and worked in Echizen province. 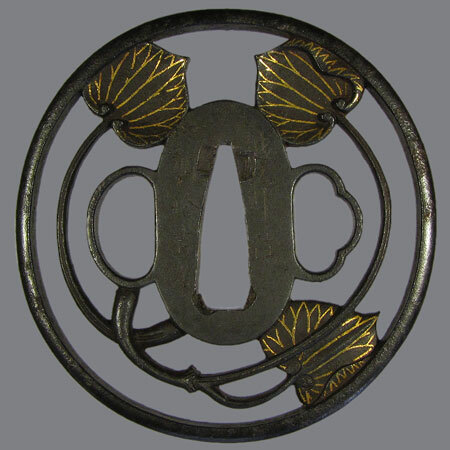 The last in the family who made tsuba was the 10th Yoshihiza. He died the 13th of January 1863. 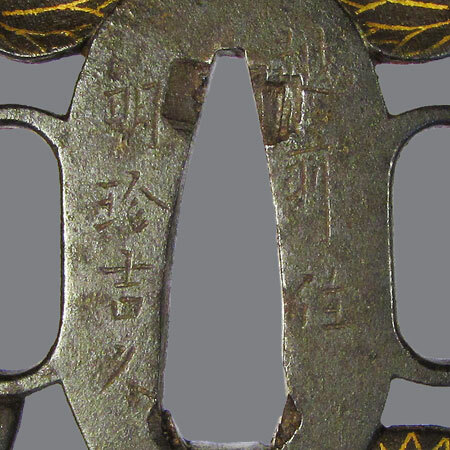 Inscription: 越前住 明珍 吉久 (Echizen no ju Myochin Yoshihiza). Myochin school. Iron, niku bori ji sukashi, nunome zogan with gold. Nagamaru gata, maru mimi; 7,4 х 7,2 x 0,5 cm.